Here is a potpourri of tourist destinations situated in South India. 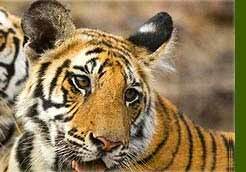 India Jungle Tours will cover whole of the souther part of the country in this package. This tour package will be suitable for not only foreign tourists but also domestic tourists from other parts of the country. Family vacationers, nature lovers and leisure travelers will find this tour package very much suitable for them. 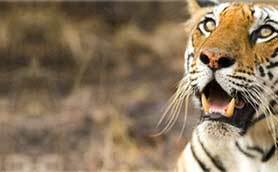 Sightseeing at Mumbai, Bangalore and Mysore besides other wildlife destinations are major highlights of this tourist destination. Full day visit at Kadavu is a unique feature of this package. Kadavu is literally a natural paradise situated in Malabar coast. Arrive Mumbai. Meeting & Greeting at Airport and transfer to the hotel for overnight stay. After breakfast full day sightseeing tour to Mumbai, visiting the Gateway of India, the Prince of Wales Museum, Dhobi Ghat, Laxmi Temple, Mani Bhavan (Mahatma Gandhi's home and institute). Overnight in hotel. Early morning connect flight to Bangalore. On arrival drive to Mysore. Afternoon city sightseeing tour visiting Mysore palace and Museum - built in the Indo-Saracenic style. 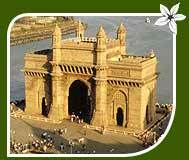 It's an imposing structure standing the heart of the city and is one of the largest of its kind in India. It was formerly the residence of Wodeyar family. The Palace is a breathtaking sight particularly on Sundays & public holidays when it is illuminated. In the evening visit Brindaban gardens. Overnight at the hotel. After breakfast drive to Nagerhole. On arrival transfer to hotel. Afternoon jungle safari. Overnight at hotel. Jungle activities including jeep safari, boat trip, nature walk, camp fire dinner. After breakfast drive to Coorg and check-in at the hotel. 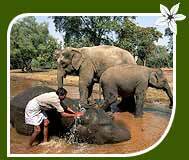 The surrounding woods in Coorg are home for Elephants, Bison, deer and sambar. Afternoon visit Coorg. Overnight at hotel. Drive to Calicut and check-in at KADAVU Resort. Day is at leisure. Overnight at hotel. Full day at Kadavu - Situated in Malabar coast, this rainforest is famous for Chaliyar river, flora and fauna, mountain rains, green paddy fields Waterfalls and mountain ranges. A paradise for nature lovers. After breakfast drive to Cochin and check-in at the hotel Afternoon city sightseeing tour visit the Dutch Palace, Jewish Synagogue , Chinese fishing nets, & St. Francis Church. Overnight at hotel. After breakfast drive to Periyar. On arrival transfer to hotel. Afternoon boat cruise on Lake Periyar. Overnight at the resort. Day at leisure for jungle walks, hiking, forest trek visit tea and spice plantations. Overnight at resort. After breakfast drive to Kumarakom. On arrival Check-in at the house boat which will take you to enjoy the magic of Kumarakom - Alleppey by going on a house boat (Kettuvallam) cruise across the backwaters. Enjoy the backwaters of Kerla by getting glimpse of the village life at close quarters. A unique and unforgettable experience. Enjoy the sunset & stay overnight on the house boat. After breakfast in the houseboat disembark at Alleppey. Drive to Marari (15 Kms. 1/2 hours). On arrival, transfer to Marari Beach Resort. Day at leisure. Overnight at resort. Day at leisure on beach. Overnight at resort. After breakfast Transfer to Cochin (80 Kms 2hrs.) airport for flight to Bombay. On arrival transfer to international airport for return flight.